“You just keep moving. Nobody stops. Nobody takes a break. You go from room to room to room,” said Linda Condon, a nurse at Morton Hospital in Taunton. Condon said she has filed dozens of staffing reports over the years. Linda Condon’s overnight shift in the Morton Hospital emergency room was nerve-racking, to say the least. There were 17 psychiatric patients — most of them unstable — plus nine seriously ill patients waiting on gurneys, the nurse wrote in a report. Emergency crews whisked in a trauma patient, then a patient having a stroke. More patients stood by in the waiting room of the Taunton hospital on the night of July 7. Condon’s summary of her hectic shift is one of about 3,000 so-called “unsafe staffing’’ reports filed by unionized Massachusetts nurses so far this year, their union said. The one-page accounts provide a glimpse into the behind-the-scenes pressures caregivers can feel juggling acutely ill patients. They also have become a tool in the political battle over Ballot Question 1, as supporters point to the reports as evidence of the need for strict limits on the number of patients assigned to nurses in hospitals. 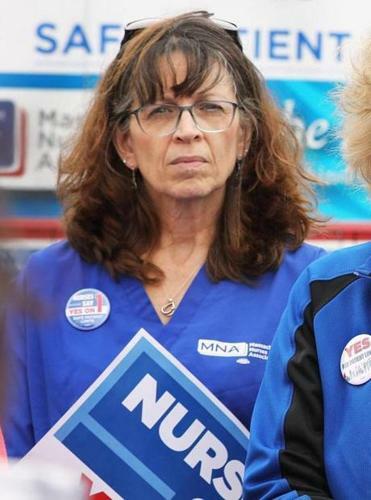 Members of the Massachusetts Nurses Association, which backs Question 1, have been filing staffing reports since the mid-1990s, and thousands of pages are stuffed into filing cabinets at the union’s Canton headquarters. During a media event earlier this month, union nurses read from piles of reports, citing them as evidence that hospitals are not providing adequate numbers of nurses to safely care for patients — an assertion hospitals dispute. A new Suffolk University/Boston Globe poll shows the margins are widening — yes, widening — in several campaigns as Election Day comes closer. The Massachusetts Health and Hospital Association opposes Question 1 and is concerned the reports could unfairly sway voters. They only tell one side of the story, said president Steve Walsh. The union advises nurses to complete an “unsafe staffing’’ form, which they obtain from a union representative, anytime they feel working conditions are dangerous. Nurses are supposed to record their supervisor’s response to their concerns and give a copy of the report to the supervisor and to a union representative. But managers sometimes have a different take on these stressful situations and say the reports overstate the danger to patients. “We don’t know if they are accurate,’’ Walsh said. On that July night, the hospital’s official staffing plan called for nine nurses at 11 p.m., dropping to seven nurses at 3 a.m., but Condon said more nurses were needed given the severity of the 40 patients in the emergency department. Her supervisor responded by approving four hours of overtime for one nurse to stay past 3 a.m., according to her report. But nurses working on a variety of patient units reported pressure and anxiety — and patients enduring delays in getting care. That night, the unit was short one of six nurses and one of two support staff listed on the official staffing plan, she wrote. UMass Memorial executives said two employees called in sick at the last minute. We “would never knowingly accept an environment that puts our patients at risk,’’ said spokesman Anthony Berry in an e-mail. In an interview, Condon said delays in patient care are common during exceptionally busy shifts. She and fellow nurses have given patients their antibiotics and pain medicine late, she said. The union has accused hospitals of not heeding nurses’ pleas for more staff. But many times nurses wrote in their reports that supervisors said they were calling and texting in search of extra nurses, suggesting that managers take nurses’ concerns seriously. “The whole hospital is short. I am making calls,’’ said a manager at Providence Behavioral Health Hospital in Holyoke on a March evening, according to the nurse who filed the report. A nurse at Cape Cod Hospital described “chaos’’ one day in February, and cited one patient as complaining “she was neglected all evening and night.’’ A supervisor approved overtime for one nurse, but a higher-level manager reversed that decision, according to the report. The hospital confirmed the reversal of the overtime but said it was because staffing “was appropriate.’’ Spokeswoman Robin Lord said in a written statement that Cape Cod Hospital has no record of a patient complaint or of the nurse’s filing the staffing report. The Massachusetts Nurses Association developed the staffing forms more than two decades ago, around the same time it began pushing for patient limits, during a period of upheaval in the health care industry. Insurance companies began to tightly monitor hospital care and limit the prices they pay for it, resulting in layoffs and other cost-saving measures. Nurses unions in other states use similar forms. David Schildmeier, spokesman for the nurses union, said the primary purpose of the reports is to protect nurses legally if a patient suffers a medical error. The forms can be used as evidence that a nurse warned management about unsafe conditions. But the union also often uses them during labor disputes. The number of reports frequently increases during heated negotiations as the union tries to document problems it believes exist on units. Even so, several managers said that they take nurses reports seriously and that hospitals meet with union representatives monthly to review them and find solutions to problems. Walsh, of the hospital association, said hospitals are developing programs to address caregiver stress and the potential for burnout. 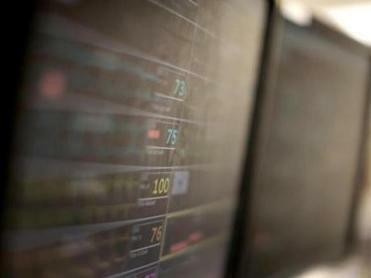 The hospital association, however, rejects mandated patient limits as a solution. The group warns that the cost of complying with Question 1 would be so high that hospitals would have to curtail services. Smaller struggling hospitals might have to close altogether, the group warns. But Lyn Flagg, a nurse who has worked at UMass Memorial for two decades, said strict limits would force improvements in units that are “habitually understaffed.’’ She filed a staffing report in June 2017, one of dozens she said she has filed over 16 years working in the emergency department. What do nurses have to forgo? Sitting with a dying patient, she said, or promptly giving a patient medication to ease alcohol withdrawal symptoms, leading to them worsening. Managers at UMass Memorial said the staffing reports nurses file are not always valid. “We rely on the expertise of our nurse managers whose years of experience and training would likely lead them to a much different conclusion and assessment of a work situation,’’ said Paulette Seymour-Route, interim chief nursing officer. Regarding Flagg’s report 16 months ago, managers said that since then, they have hired several temporary nurses to fill vacancies while they recruit permanent staff. And, Berry said, the hospital is working with staff to find ways to more quickly transfer patients out of the emergency room. Seymour-Route said managers are constantly evaluating whether they have enough nurses. “Fortunately, we have the flexibility to reassign appropriate staff to ensure our patients are always cared for in a safe environment,’’ she said. Liz Kowalczyk can be reached at lizbeth.kowalczyk@globe.com. Follow her on Twitter @GlobeLizK.